Grifobes is committed to designing and building solid, sturdy and functional products. 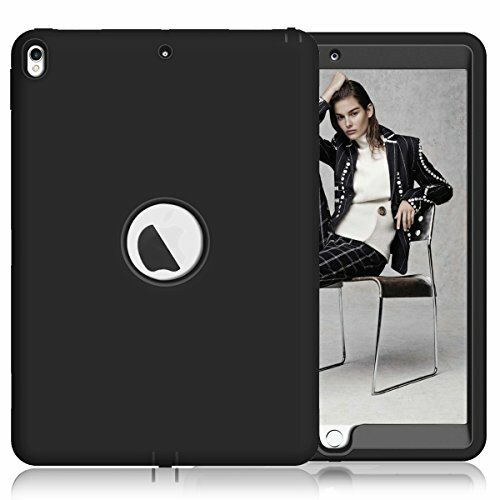 Specifically designed for iPad Air (3rd Generation) 10.5 inch 2019 Released (Model Number: A2123/A2152/A2153/A2154); Also fit for iPad Pro 10.5 Inch 2017(A1701/A1709). Enhanced drop protection with extra shock absorption. Provides a perfect protection to your iPad against shocks, damages, dusts and scratches. Super sturdy and Easy To Carry. Precise cutouts allow full access to all features (buttons, speakers, cameras). Three-layer structure of premium shock-absorbing TPU and durable hard polycarbonate provide a perfect protection against accidental drops, scratches, bumps. Super sturdy and Easy To Carry = Absolutely Kids Friendly. It’s easy to access all buttons, speakers, cameras and sensors through the precisely-cut openings.